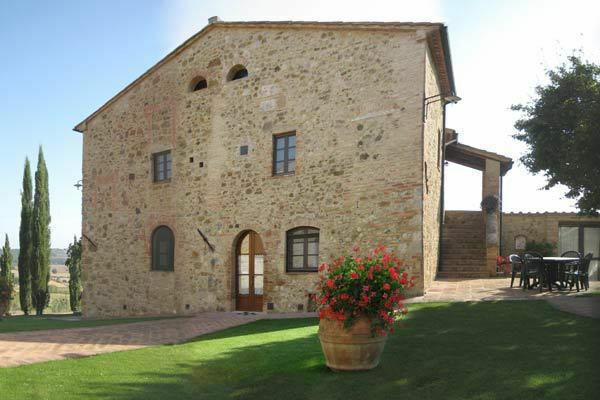 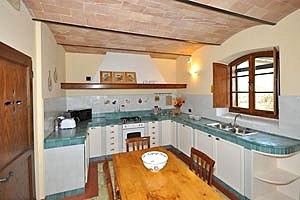 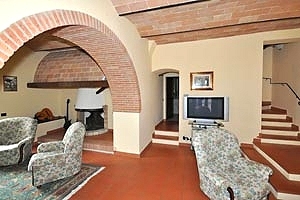 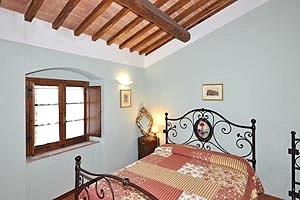 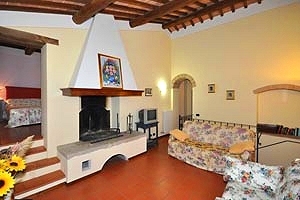 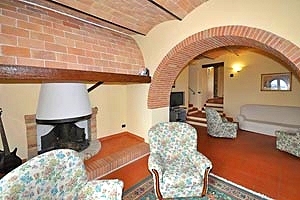 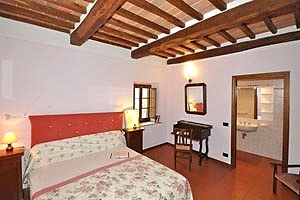 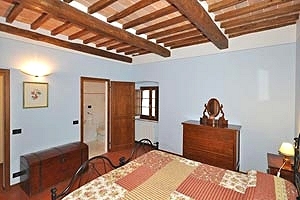 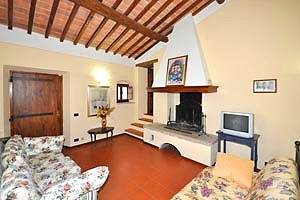 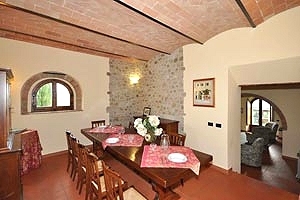 The farmhouse is situated in Valdelsa, close to the medieval village of Casole d`Elsa (Siena). 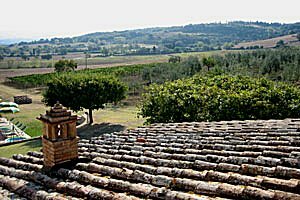 Standing atop a hill, the building offers a breathtaking view of the surrounding valley. 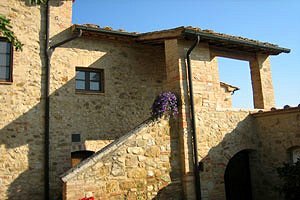 Volterra with its steep gullies (the so-called "Balze") and its craftsmen working alabaster, San Gimignano with its towers and Colle Val d`Elsa are within easy car distance. 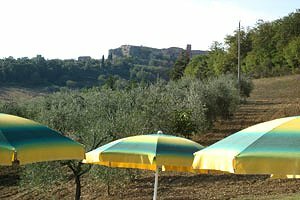 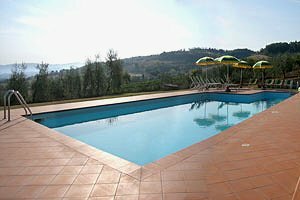 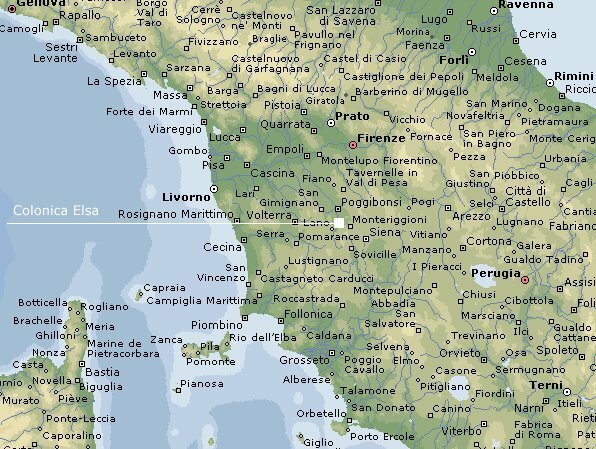 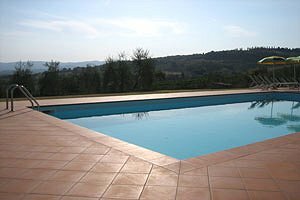 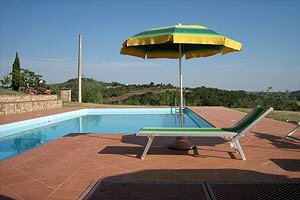 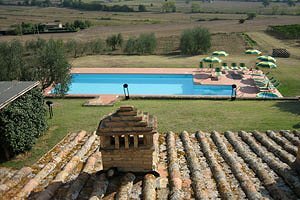 The farmhouse is also an excellent departure point for one-day trips to Siena, Florence and the Chianti district, whereas Cecina and its beaches are only a one-hour car-ride away. 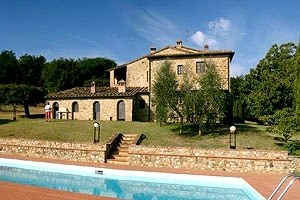 In the wonderful terraced garden lies the private swimming pool (12x6 m, max. 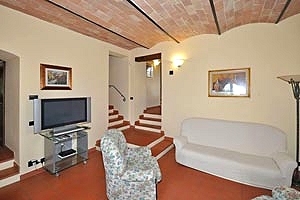 depth 1.45 m), furnished with sunloungers and sunshades and provided with whirlpool area. 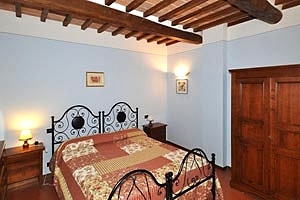 The farmhouse is furnished in rustic style, presents beamed ceilings and is provided with all comforts (Internet connection, satellite TV, whirlpool bathtub, dishwasher, washing machine, oven, microwave oven, toaster, American-style coffee maker and private car parking space). 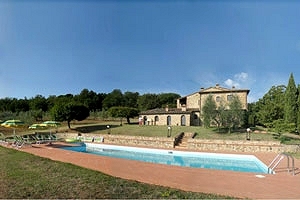 At guests` disposal: barbecue equipment. 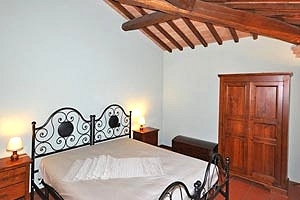 A cot bed and a supplementary single bed are available for free upon request. 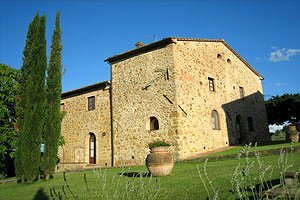 Extra maid service, cook and continental breakfast available upon request (additional charges apply). 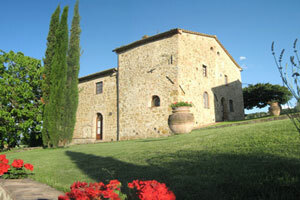 Near the farmhouse there are golf courses, tennis courts and riding stables. 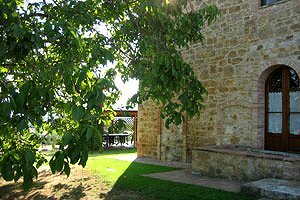 Those who love nature can hike and relax in the wood stretching behind the farmhouse. 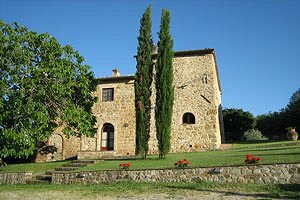 Lunches and dinners at the farmhouse, cooking lessons, horseback rides, tastings and visits to nearby wineries are organised upon request. 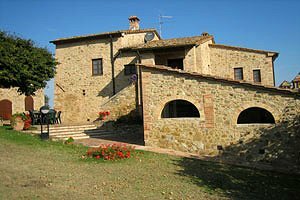 The farmhouse can accommodate 11+1 guests in 4 double bedrooms, 1 triple bedroom and 1 supplementary single bed and has 5 bathrooms. 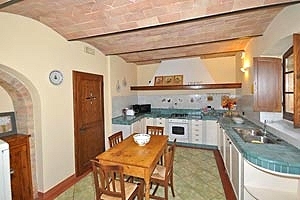 The mezzanine ground floor composes of kitchen with direct access to the garden, dining area, living room and a bathroom with whirlpool bathtub. 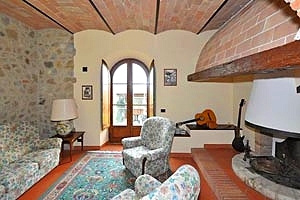 On the first floor are a living room with fireplace, three double bedrooms (one with an ensuite bathroom with shower), a triple bedroom with ensuite bathroom with shower and a third bathroom with shower. 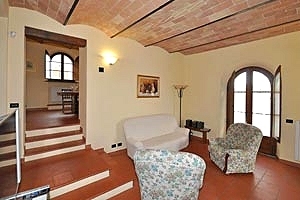 Another part of the house is accessed from the garden. 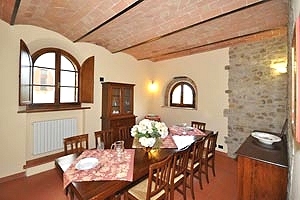 It is on a lower level and composes of kitchen with direct access to a paved terrace, dining area, a double bedroom and a bathroom with shower.